A single hospital steward was assigned to each regiment and others to general hospitals. The numbers of cords needed by the Army was fairly limited but a fair number were made. 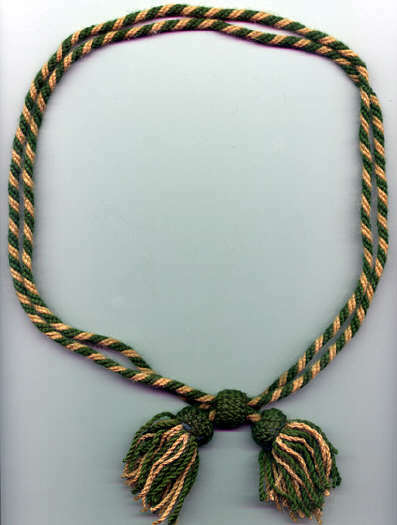 For example, on June 30, 1865 the Philadelphia Depot had 2,806 hospital steward (compared to 113,812 infantry) hat cords in stock. In 1870 the entire Army had a total of 2,850 on hand and would only issue two of them to troops over the next year. Disclaimer: The above hat cord, although representative of an original, is believed to be a modern fake. Faking of Civil War items is a common practice and large numbers of fakes are sold on the antique market.